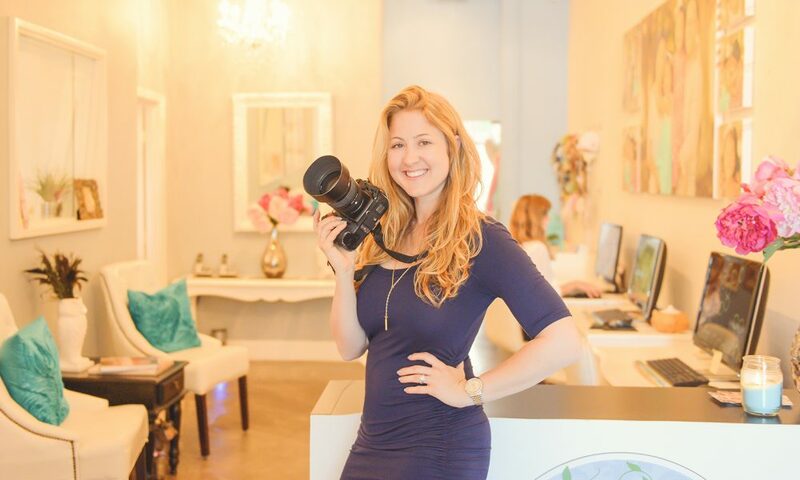 Check Out the Article Written About Us in Voyage LA | Los Angeles City Guide - Los Angeles based photo studio, The Pod Photography, specializing in maternity, newborn, baby, first birthday cake smash and family pictures. “Today we’d like to introduce you to Erika Seress. Erika, can you briefly walk us through your story – how you started and how you got to where you are today. I started The Pod Photography in 2008 with the goal of bringing a fresh, modern perspective to family portraiture. I first discovered and fell in love with family portraits through maternity photography, and in capturing inspiring images of women. I had been working for fashion and commercial clients taking beautiful pictures of beautiful people for many years, but I was feeling unfulfilled by the substance of the images I was taking. That’s when I started photographing “real” women, capturing their unique beauty in meaningful photographs for them and their families, and felt newly inspired by photography. When I showed my first maternity client her pictures, her eyes lit up with joy and gratitude to have such a stunning portrait of herself! Then and there I knew it was my calling to combine the fashion and portrait worlds, working with real women and families, putting them at ease, uniquely posing them in ultra-flattering positions and using high-end sets and lighting techniques to showcase how truly gorgeous they are. Expanding on that passion, The Pod Photography now specializes in maternity, newborn, baby & kids and family photography both at our Culver City studio and on-location around Los Angeles. Starting a business is never as smooth as you hope it will be! I opened my first studio with zero clients and had to really hustle to get people in the door. I got my very first job freelancing for a magazine because the editor said “If I give you a job, will you stop calling me so often? !” I have always been relentless in my focus and determination and have had the attitude that someone is making it in this profession – so why not me? I opened my second studio on Abbot Kinney in Venice in 2010 and believed in my vision so much that I took out a sizable business loan to cover the lease. I didn’t have enough clients to justify the move – I just knew I had an idea that was worth bringing to life! I got creative with my advertising, partnered with other companies to host events and applied dozens of marketing ideas to earn business. I have often jumped head first into new business ventures without a safety net. Fear fuels the survival instinct, and that’s when you really get the motivation to do whatever it takes to achieve your success! Now almost ten years later in our third studio – all the hustle, creative marketing strategies and hard work have paid off and we are the biggest and most sought-after portrait studio in Los Angeles. That, of course, comes with its own challenges as well! We are full service, providing custom artwork, albums, and other products for our clients – and finding staff members and partners who meet my own customer service, detail-oriented standards and share my work ethic has been a challenge. It took a long time to get the details running smoothly, but that’s what it means to run a business, it’s not just taking pictures. It is all of these experiences and commitments that have earned us a very loyal client base who come back to us year after year for Holiday portraits and to document milestone moments like new babies and first birthdays. We have a wonderful referral network and are grateful for every single client we have. At The Pod Photography, we specialize in maternity, newborn, first birthday, kids and family portraits. As one of the only portrait studios in Los Angeles, we offer our clients a truly unique experience. Our studio is fully stocked with all of the outfits and accessories you can imagine for babies, kids and maternity clients – plus we have every prop and background imaginable. Our true specialty is creating custom sets, especially for first birthday clients… this is Hollywood after all! Leah Gibson, our kids and family photographer is truly amazing at this. We spend hours designing, shopping and making sets for all different themes – some fun ones we’ve had recently are: Breakfast at Tiffany’s, Where The Wild Things Are and we even did a Wonder Woman + Superman themed cake smash for twins! One defining strategy that has helped us stand out from others is being a truly full-service studio. I have a team of photographers, designers and re-touchers who specialize in creating custom wall art for people’s homes, family gifts and heirloom albums. Helping our clients to display, share and enjoy the meaningful images of their families has allowed us to add value to their everyday lives, with a custom, personalized service they can’t get anywhere else. In addition to being a photographer and running a busy studio – I also wrote a book “The Parent’s Pocket Guide: Taking Kids and Family Photos” to help families take great photos of their children as well. I have found that so many parents invest in a fancy camera once their child is born and are really optimistic about learning to use it. However, the reality is that they often get overwhelmed with all the settings, and the camera ends up collecting dust in a closet. For that reason, I created a super easy system that I outline in my book for parents (or anyone!) to follow and use their camera with ease. Los Angeles, more than most cities, has thousands of aspiring amateur and semi-pro photographers who work out of their homes or do it as a side job. And these days, anyone can create a webpage that looks great. It took a big leap of faith, drive and passion to get a physical studio space and to take on the staff and overhead costs, buy the best equipment and to invest in marketing and customer experience. People in Los Angeles are sophisticated, demanding, and everyone has a friend with a cell phone or point and shoot who can take great photos. In Los Angeles, you have to be incredibly committed and passionate, have a unique style and creative point of view, and be willing to put it all on the line. One thing I learned quickly is that being a professional photographer is as much about being an entrepreneur and business person as much as it is about the art.